20-05 | The history of MR imaging | MRI NMR Magnetic Resonance • Essentials, introduction, basic principles, facts, history | The primer of EMRF/TRTF. The news of Lauterbur's invention traveled slowly although he presented it at a number of scientific meetings between 1972 and 1975. 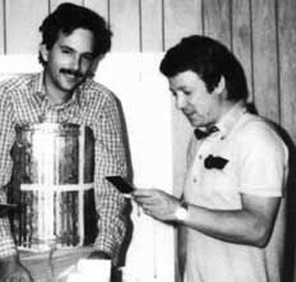 The breakthrough of EPI came with manifold improvements in many aspects of the associated methodology and instrumentation – from gradient power supp­ly and gradient coil design to pulse sequence development, presented by Pykett and Rzedzian in 1987 [⇒ Pykett]. However, it remains a niche technology in cli­ni­cal MRI. 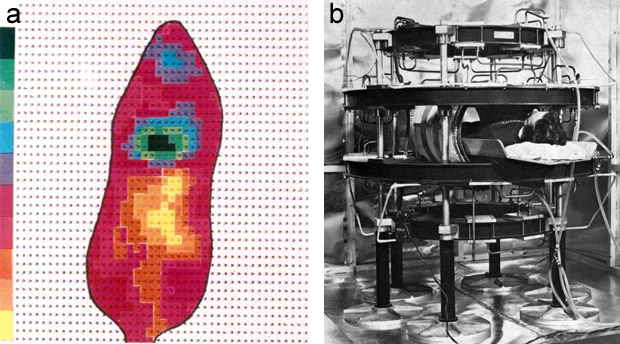 In the 1970s and 1980s Great Britain was a major con­tri­bu­tor to the de­ve­lop­ment of MRI equip­ment and soft­ware, but then a number of the researchers working in Britain went to the United Sta­tes. It was a major brain-drain for British universities, but there was little money in the British university system. An excellent eyewitness report by some leading British researchers and scientists about the British work, issues relating to the support and impact of industrial research, interrelationships between manufacturers, government agencies and medical specialists in acquiring and evaluating new equipment, and devising safety and clinical criteria was given at a meeting at the Wellcome Institute for the History of Medicine, London, in 1996 [⇒ Christie]. Most of the British researchers stayed abroad, whereas many of the Continental Europeans who worked in the U.S.A. in the late 1970s and early 1980s returned to Europe. Some of the Europeans had performed quite impressive research in the Uni­ted Sta­tes. In vivo MR Spectroscopy. 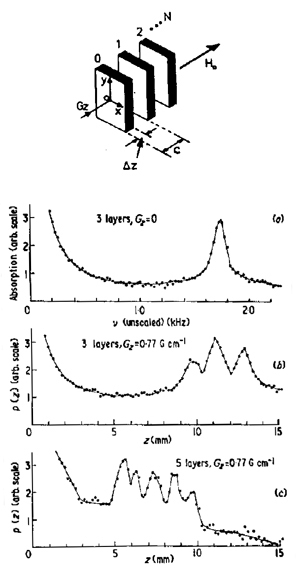 Actual in vivo NMR spectroscopy took off in Oxford from 1974, with the group of Rex E. Richards and George K. Radda. Among others, David Hoult and David G. Gadian belonged to this group [more details can be found at ⇒ Christie]. 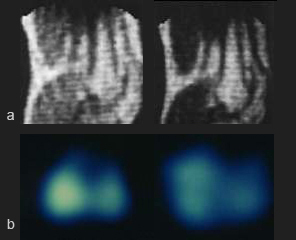 Chapter 20 | The history of MR imaging – Page 5  Go to Chapter 20, page 1, 2, 3, 4, 5, 6, 7, 8, 9, 10.